Car ownership in Singapore is limited to the validity of COE which last you for only 10 years. You can scrap or export the car at the end of the 10th year or anytime before that. This article will give you the updated links and information related to this topic. Unless your car is of high value such as BMW and Mercedes, do not place your hope too high on this option. Of the following three aggregator sites I approached for my Japanese made car, only one offer came back and the offer was lower than the scrap value! Once you decide that the export price offer is not compelling, the next logical step is to send the car to the scrap yard. It is a no hassle affair, much easier than you might think. For the procedures to de-register vehicles lost through Theft or Criminal Breach of Trust (please click here). Of all the three LTA-appointed scrap yards, none opens on Sunday. 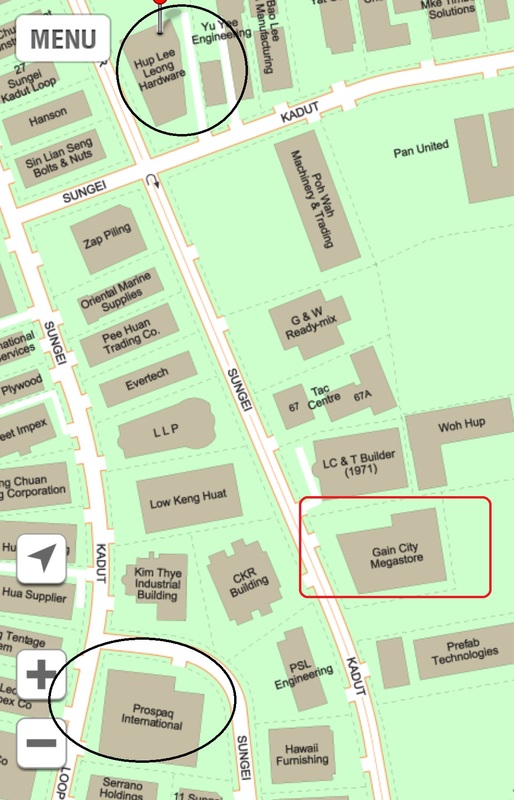 Also, none of the scrap yard is accessible by Public transport though you can take the free shuttle bus provided by Gain City Megastore just 5min walk away (for goodness sake pls visit their store while you wait for the bus LOL). Feel free to call all three scrap yards to obtain the best quote for your scrap metal. Of all the four LTA-appointed scrap yards, Kim Hock offers the best experience. Not only that it is the only one that opens on Sunday, it offers the scrap price based on the engine capacity rather than the make of the car. Of the four scrap yards surveyed based on a Japanese car make, Kim Hock offers the highest offer for scrap. None of the scrap yard are accessible by Public transport, nearest MRT to Kim Hock scrap yard is Joo Koon MRT which is about 2km away. IMPORTANT!!! Most important preparation for scrapping the car is to obtain the T-Pin at least 1week before scrapping from LTA. Click the LOG IN tab using your Singpass. The T-pin will be sent via post in 3-5days. The whole process takes less than 10min, and you will be handed the scrap value in cash ranging from $50 to $200 and a receipt and procedure to claim your COE/PARF on OneMotoring website. 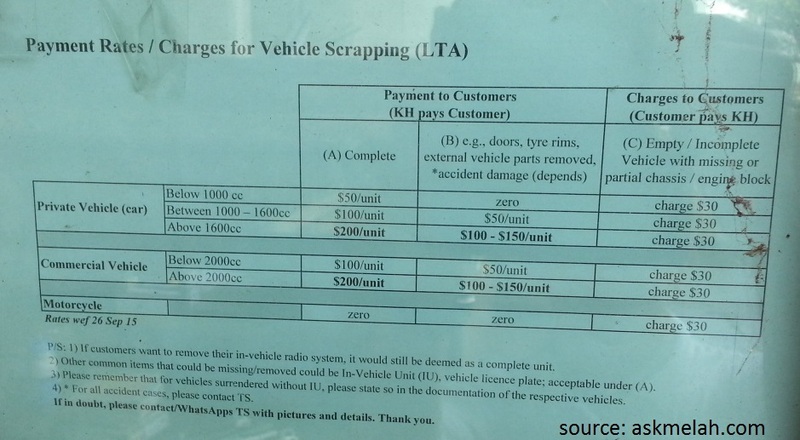 LTA will refund you the paper value once scrapyard submitted documentation to LTA. The refund can be credited to your bank account via GIRO within 14Days upon successful application for encashment, if you have a valid Refund Bank Account with LTA (can be updated through OneMotoring website). Where to get refund for HDB season parking? If you have seasoned parking in HDB, refund of Unexpired Season Parking Charges can be applied online, you need Singpass to apply and the vehicle registration are automatically populated once you log in to the following website: Termination Procedure of HDB season parking. The refund can be credited to your bank account via GIRO. How to scrap my car – anyone done it?